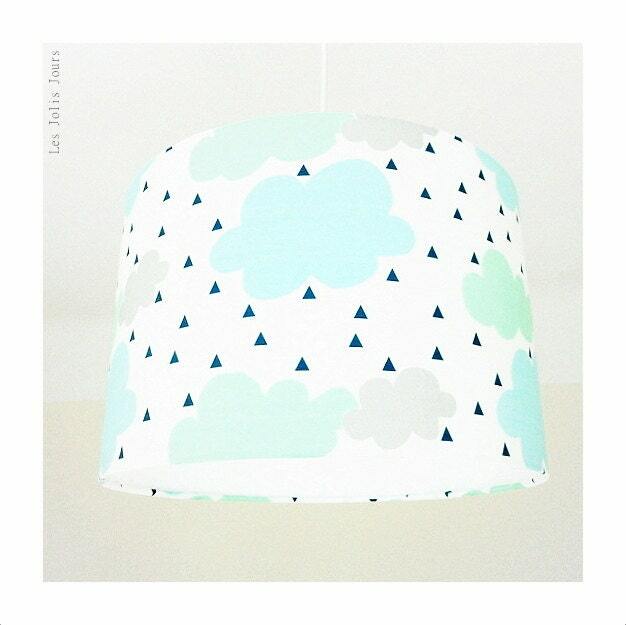 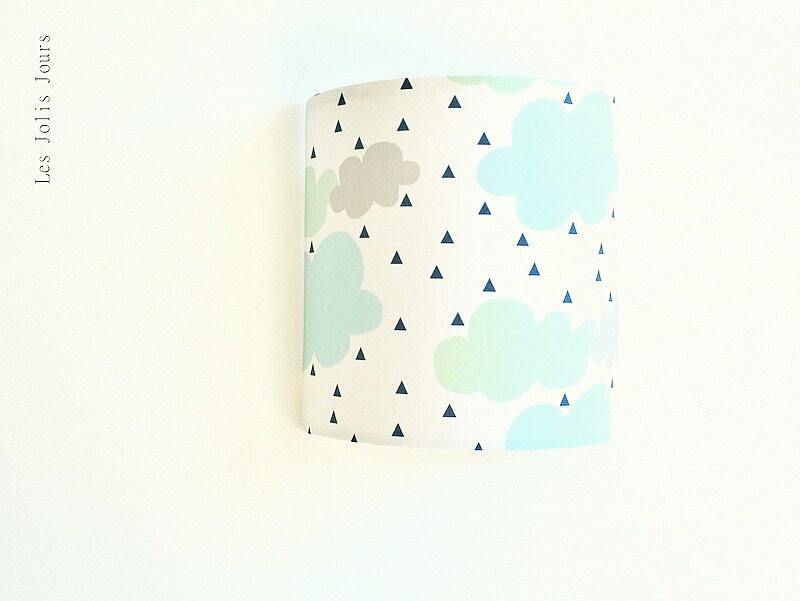 The CLOUD lamp shade will delight children with its lovely shades of mint, sky clouds print and grey and its blue triangles on white background. 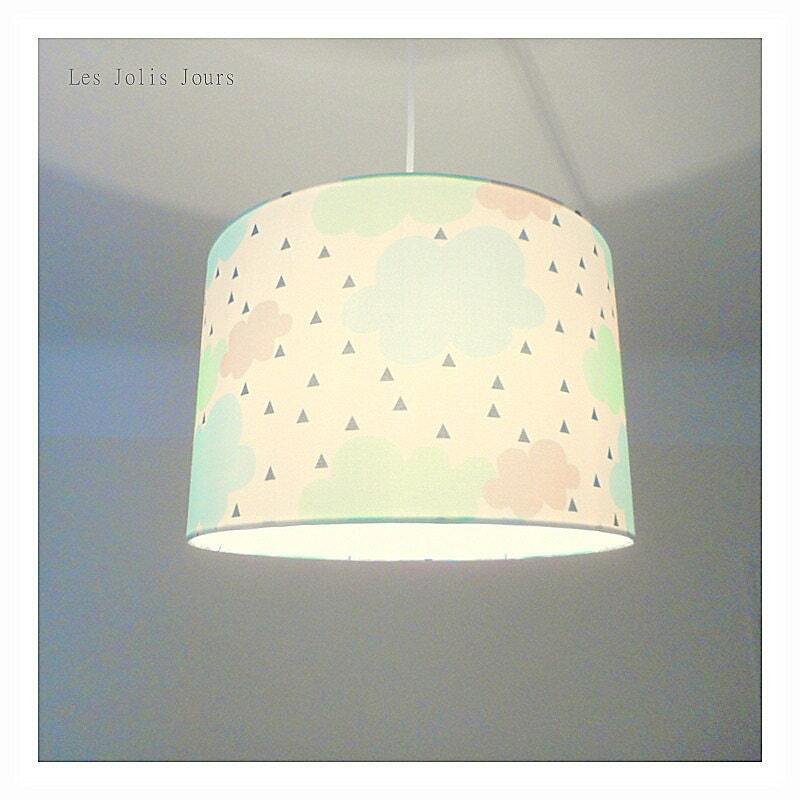 The lamp shade made of iron and polyphane (non-flammable PVC) is covered with cotton fabric. 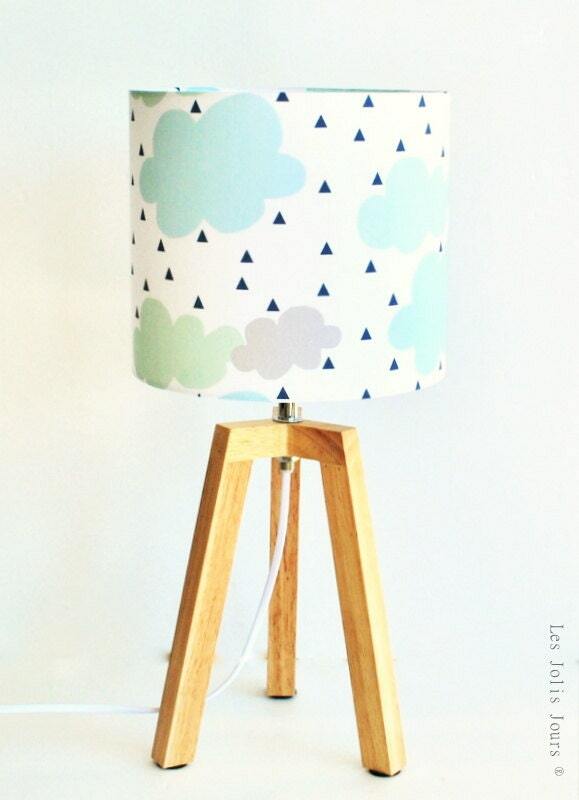 This is an original creation, entirely handcrafted.